After Action Reviews (AARs) have been an important part of building military competency since the pioneering work of S.L.A. Marshall in WWII, Korea and Vietnam. In the modern U.S. Army they should be part of every training exercise and field operation. Using AARs allows the entire unit to improve after every exercise or operation. Teams that don't do AARs get complacent. That costs lives in places like Iran and Afghanistan. It can cost you victory in WoWS. In World of Warships. Divisions, clan war teams and trainers who constantly use AARs may not fight quite as many battles, but they get better and better in every battle. Win rates, damage amounts, and other stats will rise. If you want to be constantly improving, AARs are an invaluable tool. Even solo players can use AARs by running through the process in their own mind after each battle. AARs are used by first class military organizations to hone their abilities and remain sharp. Using them in WoWS can help you achieve the same thing. AARs are equally useful for in a Division after a random battle, a team in an operation, and after clan wars team battle. Yes, a little discipline is needed. But the choice is simple: AAR to win more, or be lazy and lose more. (1a) VOICE ENABLED: Everyone in the battle must have voice software active, which means having a microphone and certain software. Discord and/or Teamspeak 3 are the most common voice systems used in WoWS. For any new group, Discord is recommended since both the client and virtual "server" are free. Some people inevitably need a "ramp up" phase to get their hardware working smoothly with voice software - don't assume it will magically work the first time. (1b) IMMEDIATELY AFTER BATTLE: Everyone in the battle should to into the AAR voice area directly after the battle. Memories are best right after the event. Furthermore, data associated with the battlewill be available in the client's record, to help a player review targets hit and/or sunk, weapons accuracy, etc. (1c) BATTLE MAP: A screenshot of the battle map, preferably at the start of the action, can be very helpful. The upcoming AAR leader should save a screenshot of the battle map. Discord allows screenshots to be pasted directly into text channels, so the leader can just drop the screenshot there for everyone to see during the AAR. Therefore, it is useful to make both a text and voice discord channel for each AAR "room" on your discord "server." (1d) NAMING CONVENTION: It is best to follow the naval tradition of referring to a captain by the name of their ship. For example, if the player Yasha was commanding the Gneisenau, then the AAR would refer to both that person and ship as "Gneisenau." Therefore, one would say "Gneisenau decided to charge into cap B" or "Gneisenau launched torpedoes..." etc. If two or more copies of a ship are in the battle, append the captain's first letter or two after the ship name. For example, Yasha's Gneisenau would be "Gneisenau-Y," while KillerStealerXYZ's Gneisenau would be "Gneisenau-K."
(1e) ARR LEADER: The senior-most captain should lead the AAR. This means the clan wars battle caller, the Division commander, or the training exercise planner if a scrimmage battle. The role of the leader is to ask questions during the AAR whose answers are designed to support the process (below). Many clans have an internal rank structure to insure that the best, most experienced members become Division and AAR leaders in combat. (2a) DISCOVER INITIAL PLAN: The leader tries to discover what battle plan, if any, existed for each side. Then discover to what degree captain followed the plan, or what alternate course of action was selected, and why. (2b) ESTABLISH CHRONOLOGY: The leaders asks participants to reconstructed the battle, as they understood it, in order from start to end. Which "caps" (capture areas) did ships move toward or into? What enemies did each ship fire upon, when, and with what effect? As the battle developed, who was sunk, when and where. (2c) FOCUS ON WHAT HAPPENED: While establishing the chronology, focus on what actually happened. Don't get distracted by "could have" or "should have" issues. Make a private note about the idea for discussion later (in 2d). The leader should insure that people are answering questions like "What did you see happen..." or "What did you hear..."
Everyone must follow the spirit of open inquiry and honestly discuss what actually transpired. You want to learn what did and did not happen. (2d) KEY ACTIONS & EVENTS: The leader begins with a short list (three or less) of actions and events that were important during the battle. The group discusses each event in turn. Then the asks each person in turn to add one to three more important actions/events, and those are discussed. After everyone has gone once, the leader decides whether another round is needed. Key actions and events includes both things that worked well, and things that did not. The important part is driving out what actions most influenced the course of the battle. This helps everyone understand how the battle was won or lost, step by step. (2e) TTP REVIEW: Many organizations have established, or "generally understood" Tactics, Techniques and Procedures (TTPs). These are the sometimes unspoken rules about how a ship should be captained. The senior-most leader should insure that relevant TPPs are part of the review. Typically, this involves asking what TPPs were followed or ignored, and with what results. Get the group to discuss which TPPs are valuable, and which need to be revised or scrapped. If no TTPs exist, this probably mean some players are making unspoken assumptions about how a ship should act. The leader should ask questions to reveal and discuss these. This helps build a list of clan TPPs. (2f) IN A SCRIMMAGE, BOTH SIDES IN THE SAME AAR: This allows each side to learn from the other, as well as among themselves. Seeing a battle from the enemy's perspective can be extremely helpful. 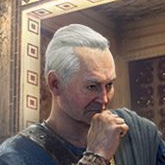 (3a) AVOID BLAME-GAMING: Never let an AAR degenerate into a "blame game" where people complain about the behavior friends or allies. It's easy to blame a defeat on other people. However, the AAR should only consider the actions of those present. Other allies not present (such as "friendly" ships in a random battle) are external "acts of god." How the AAR members perceived and responded to those events is being reviewed, not external factors. Even if the rest of the side made horrible mistakes and were quickly sunk, the AAR must concentrate on how the involved members guided their ships through the mess, and what they were able to accomplish in a difficult situation. (3b) NO RAGING: Personal attacks, insults and hostility toward others is never allowed. The goal is clam, cool, unemotional and thoughtful analysis. Do not rant and rage. Emotional outbursts don't help in understand what happened, nor do they help people figure out what was important and why . (3c) STOP BLOW-HARDS: Everyone should make their point quickly and clearly. Long-winded stories, comparisons to other battles, etc., are not part of the chronology or events in this battle. Brief mention of other events can have a place in TTP discussions, but keep them brief! The leader should cut short anyone who rambles on. Ask them to summarize in one sentence, then move to another person. The AAR leader must be especially cognizant of their role. Their job is NOT to pontificate. Instead, thry ask good questions to help everyone else discover and learn things. Clan officers and leaders should listen to AARs as much as possible, to insure that the right people have the rank to lead AARs. (3d) SPEED OVER PRECISION: Performing an AAR quickly, clearly and cleanly after each battle. Spending long a long time preparing or performing an analysis doesn't help. For example, you can lose time trying to queue up and watch videos, or creating "visual aids" such as ship course tracks or comparison statistics between ships in the battle. By the time those are ready, people may have wandered off. Detailed research can be done later, by a dedicated "study team." (3e) ASSUMPTIONS INSTEAD OF TTPs: Many clans want existing and new members to "already know the game." They assume members have telepathic knowledge of various unspoken rules about ship operation, such as Destroyers scouting, Battleships tanking, and all ships minimizing broadside exposure. In reality, each of these unspoken rules "everybody should know" are just TTPs. Sooner or later, you'll encounter somebody who don't know something they "should have known." Having TTPs gives people a written explanation of everything they need to know. AARs are constantly reviewing and suggesting improvements to the TTPs. A well-run clan will have a standing committee that maintains and updates the TTPs under the direction of a clan officer or leader. That means an AAR leader can send a brief note to someone on the committee about a TTP change suggested by the AAR. If you don't hold AARs, it's hard to identify fixes needed in the TTPs. If you run AARs badly, TTP fixes come across garbled, nonsensical or too situation-dependent to be useful. In the US Army, AARs are conducted like as a professional roundtable discussion, not an inquiry or presentation. The unit typically sits in a horseshoe-shaped semi-circle, with the senior leader present (or observing, if an exercise) in the middle. This allows everyone to see each other. The AAR leader makes sure everyone speaks at least once. US Army veterans with experience as a combat-arms senior NCO and/or junior grade officer should have run AARs and understand their value - unless they suffered under the command of Colonel Lazy-bones or Major Arrogant. "A Leader's Guide to After-Action Reviews" TC 25-20, first published in 1993, is available currently at www.au.af.mil/au/awc/awcgate/army/tc_25-20/tc25-20.pdf . It is a guide for how to organize an Army AAR, with special emphasis on AARs after training exercises. Both Marshall's books and TC 25-20 are the primary sources for this article. The U.S. Army also has published a report that guides the development and refinement of TTPs (Tactics, Techniques and Procedures). It is currently available at www.dtic.mil/dtic/tr/fulltext/u2/a517635.pdf . The recommended process to the US Army for creating TTPs is described in Appendix B and includes AARs. S.L.A. "Slam" Marshall was a famous American military historian who is probably best known for his study of the Korean War engagements at "Pork Chop Hill" in 1953 before the armistice. He used AARs to write small-unit action histories in WWII, Korea and Vietnam. He has been criticized for sometimes not following his own methodology, but his books are so engaging and enlightening that many historians overlook his potential faults to see basic truths. I've been looking for clans that regularly use AARs to improve. The competitive ones say they use them for CW battles, but I'm not sure they use them after every actual battle, or just in training, and I'm not sure how good they are at following an AAR process. The temptation to rage and pontificate is strong. Similarly, I don't know of any clans that have well-organized TTPs. They expect people to discover and internalize TTPs via a telepathic osmosis process while playing with clan-mates. This is slow, inefficient, and prone to misunderstandings. No wonder people are constantly searching for a "better" clan. Finally, just because a clan is run by veterans and/or former military officers doesn't mean they use AARs or have TTPs. I know this from personal experience. I also know, from working on military projects during the height of the IED war in Iran (later 00's) that refining and improving TTPs was crucial to reducing casualties. That helped just as much as new technology, and the technology became more beneficial when units upgraded their TTPs to use it! If anyone knows of a clan in World of Warships that uses AARs after each fight, and has a body of TTPs, I'd love to learn about it. Yasha I am out of thumbs up! I was in a Combat Flight Simulator group that did this. They also had formal pre mission/training ready room briefings including military courtesies. My first briefing was for a training dogfight. The Commander and his group were the enemy and his Deputies group the good guys. I was in the good guy group. We went to the battle, both groups engaged head on, I targeted the Commander immediately and blasted him into a fireball headed directly to terra firma he likewise blasted my plane into a fireball but it was still flyable but only barely. I broke off and landed safely just as my engine was stopping. The after action debrief was both heated and congratulatory since none of the others had dared to ever fire on the Commander much less shoot him down. AARs for these battles would likely be quite similar! That is all. Carry own. Top-notch info here!! 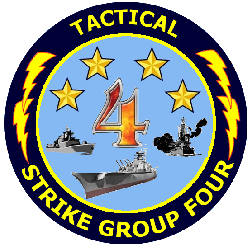 In fact, Tactical Strike Group 4 started implementing AARs about a month ago! Good post! Thanks for the kind words, Nocona. I'm curious about when you run AARs - after just selected battles, or all of them? How do you convince players to attend, instead of rushing off to drop into another fight? I also know that you're a US Army Infantry Officer - how have you adapted traditional military AARs for use in WoWS? Have you been able to create a sense of military professionalism? On a related topic, I know your clan has an OpServ, but I don't remember a specific TTP area - just a pile of training courses. Where do you stand on the utility of TTPs these days? So, TSG4 is the only clan doing AARs in any form? I would have thought that more competitive clans would at least use them during CB practice sessions, scrimmages, etc., and perhaps for any battle they recorded. Football teams have been using game films for decades to analyze play and errors. AARs are just a quick, easy way of doing the same thing, and don't even need a coach! As a US Army veteran of OIF i AAR the crap out of my clan battles matches. Its instinct after my years in service. lol Also i like to find my mistakes so i dont do it again and give me and the team i am on a better chance to win. I'm impressed Mack. Does anyone else participate in the AARs with you? Who leads them? Do you do AARs division fights in random battles too? How often? How to avoid people complaining, "Hey, stop talking and let's go fight again! This is just a waste of time." Of course, you and I know it isn't a waste of time, but how many non-military folks understand it?